To develop geographical skills, understanding and knowledge and inspire students through the study of both the physical and human geographies of the world. What is Geography?, It’s Your Planet!, What is the UK?, Map skills, Tourism Project (based on a visit into Saltburn), Africa, Amazing Landforms, Coasts—Plasticine animation task. Individual research project on the local area, Short answer questions (some level marked). Read around the subject, e.g. Newsround, Nat Geo Kids and in newspapers. To enable students to develop a wide range of skills as they study Geography at local, national and international scales and are encouraged to develop a sense of awe and wonder for our planet. Development—Am I bothered?, Asia and China, Rivers and Flooding, Rivers project (based on a visit to Saltburn Beck), Our Growing Cities, Weather and Climate, Extreme Weather News report. Research project into specific topic areas e.g. tropical rainforests. Short answer level marked homework; revision; mini assessments; reading around the subject on websites and within publications such as National Geographic. To build on prior Key Stage 3 learning and to challenge and enthuse students about their world in which they live. Students develop an understanding of their impact upon the world and the connections they have to other countries and people. 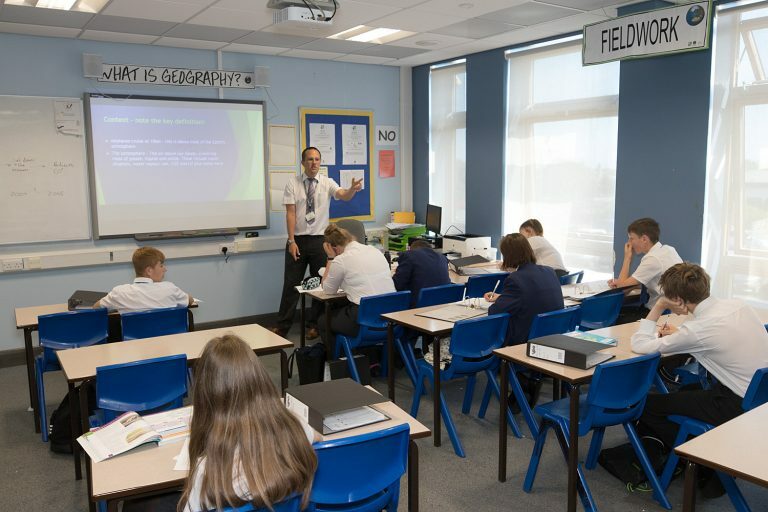 Throughout the modules below students continue to develop a valuable range of skills that can be used across the curriculum but also prepare them for the subject at GCSE. The Restless Earth (Earthquakes and Volcanoes), Tourism project (based on a visit to Whitby), Global Warming, Antarctica and Glaciation, World Regions, Crime and GIS, GCSE Map and Graph skills (Students opting for GCSE). To develop geographical skills, understanding and knowledge. Past questions marked to GCSE grades. Note taking to consolidate classroom learning / www.kerboodle.com (students have an account); BBC Bitesize; ‘understanding GCSE Geography’ CD and textbook issued. Finish In Class Assessments (Up to October half term), Tourism, The Population Change, The Development Gap.